You probably are familiar with the artist Katsushika Hokusai—thanks to his world-renowned woodblock print The Great Wave Off Kanagawa. How about Katsushika Ōi? She was Hokusai’s daughter who, after a brief unhappy marriage, became her father’s assistant while also working on her own accomplished paintings, prints, illustrations. 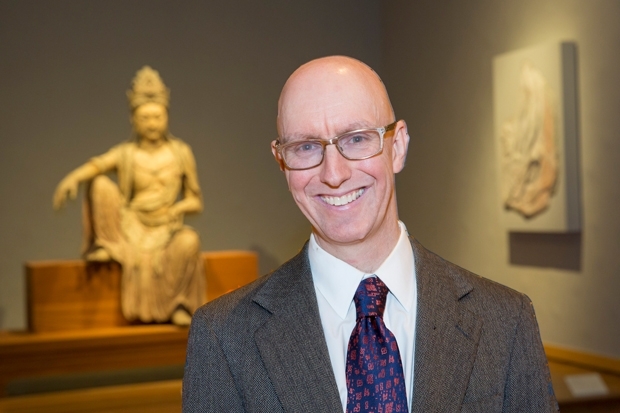 Robert F. Lange Foundation curator of Japanese art Stephen Salel is deep into research for his 2021 manga exhibition that looks at the profound achievements of female Japanese artists. Since Hokusai is credited with coining the term manga, Salel believes Katsushika Ōi can be dubbed the first female manga artist. Determined to include her work in the show, Salel tracked down paintings by her in the collections of the Tokyo National Museum and the Ukiyo-e Ota Memorial Museum of Art. “I felt very confident that I could find one of her books in our own collection,” says Salel. Books illustrated by Katsushika Ōi are rare, making Salel’s discovery an important find. The museum acquired the Richard Lane Collection in 2003, and as museum staff and visiting scholars continue their research on it, it continues to yield treasures. 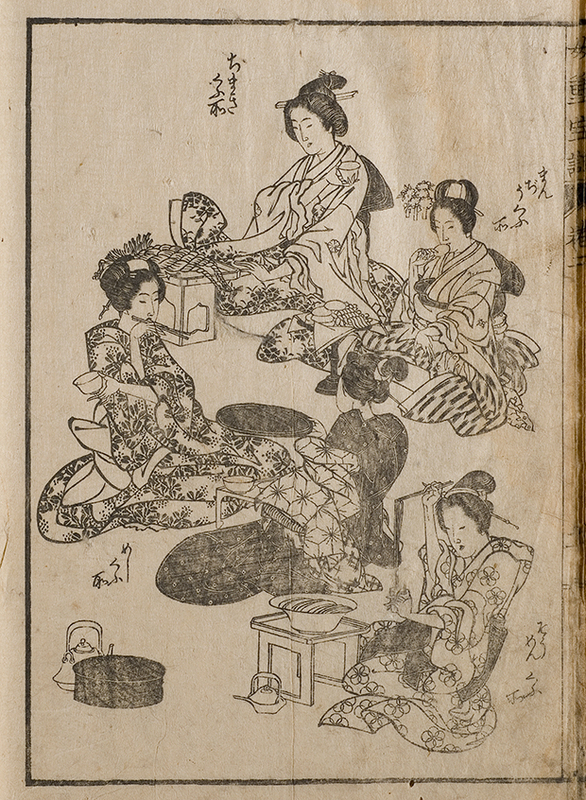 A page from ‘Illustrated Handbook for Daily Life for Women’ illustrated by Katsushika Ōi. Good find Stephen. There are probably more treasures waiting to be discovered. You are an amazing scholar. What a great discovery you have found. I appreciate you, your work and contributions.